We are a company full of busy and bustling people, so it can be a little difficult to find the time to come together as a team. To ensure we’re always making that effort, we do our best to sit down and have lunch together every day. Here, lunchtime is seen as another opportunity to be collaborative. 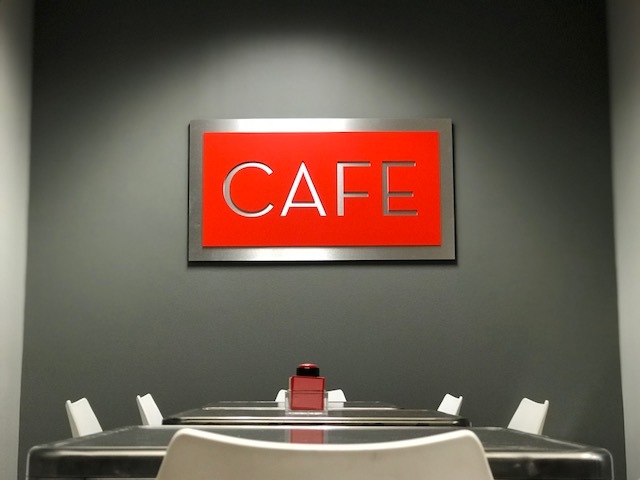 Every day, at noon, we gather in our office cafe and have a seat with our nutritious meals, ready to talk about our days. We discuss our victories, struggles, and give each other advice. On the off chance that conversation lulls, we’re well-equipped with a stack of question cards to get us talking – questions like, “if you could be brilliant in one subject which would you choose?” or “if you owned a boat, what name would you choose for it?” We go around the table and get to hear those personal tidbits from everyone, ask for the recipe of whatever delicious meal they’re eating and share a few laughs. It’s a simple step that brings us closer as a team. The open dialogue we have helps make us better creatives. The best part of having a team is that one person’s shortcomings are usually someone else’s strengths. If there’s an issue someone can’t figure out, there will always be another person to help bounce around ideas. By troubleshooting with each other, we also get to know more about how everyone works, which ultimately boosts our productivity. We always strive to encourage our team members, discover more about them and ultimately anticipate what we can do next to help each other succeed. Our lunchtime conversations keep us fueled, but most importantly, they keep us connected. We’re always looking for new things to talk about as we continue to learn, grow and work together! Drop us a message on our Facebook page and let us know your best icebreaker question or favorite lunchtime discussion.